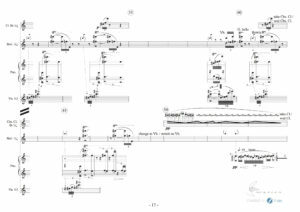 Ars musica: contemporary score notation – Ars musica Sp. z o.o. ..next example of contemporary music score by Ars musica co. (Marek Kunicki).. I can engrave everything (I think)..
..I’m not saying Finale is the best in the world, but it is pretty wide open..